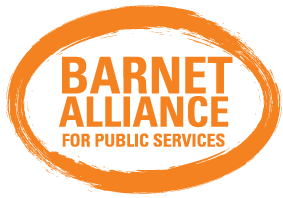 Although Diane Abbott was not able to attend the meeting last minute, due to the ongoing parliamentary Brexit deadlock, Barnet TUC and Barnet Momentum were very privileged to have an inspiring and heartfelt speech from one of the hardest working human rights lawyers in Britain. Jacqueline McKenzie has been at the forefront of fighting for the rights of the so-called Windrush Generation, a group of people affected by systemic injustice that, as she reminded the audience, most of the public only really became aware of this time last year. 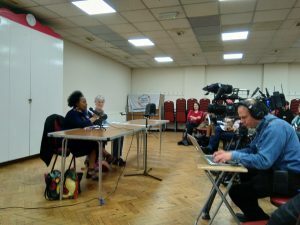 McKenzie took us through some of the terrible cases she has had to deal with, involving people who frequently had no idea that their rights to remain in Britain were under threat, suddenly facing threats to their very lives and basic safety due to being deported to countries they frequently hardly knew. The background to this, she explained has been decades of increasingly severe nationality legislation. Although Theresa May’s term as Home Secretary may have ushered in the worst of it, the sad truth is both major parties have contributed over time to laws that disadvantage mainly from from majority non-white countries. This disproportionately affects the poorest and most disadvantaged of those people, who are least able to to pursue ever more complex processes to prove that they can live and work in Britain. Although many of the high profile cases have concerned Caribbean and African people, McKenzie warned that many more people can and will be affected. She cited the recent decision by current Home Secretary Sajid Javid to strip so-called “ISIS bride” Shamima Begum of British citizenship as an example of the rules being made unnecessarily tougher yet again: Begum is a defenceless teenager, with no real hope of making a life in her parents’ native Bangladesh, and taking British nationality from her has been cruel and unjust decision that too many have been slow to oppose. We left the meeting in no doubt that our movement must to much more to fight racist, discriminatory and repressive immigration laws, and there was an impassioned plea for the event to be a starting point for greater anti-racist activity in our borough by Stand Up to Racism.